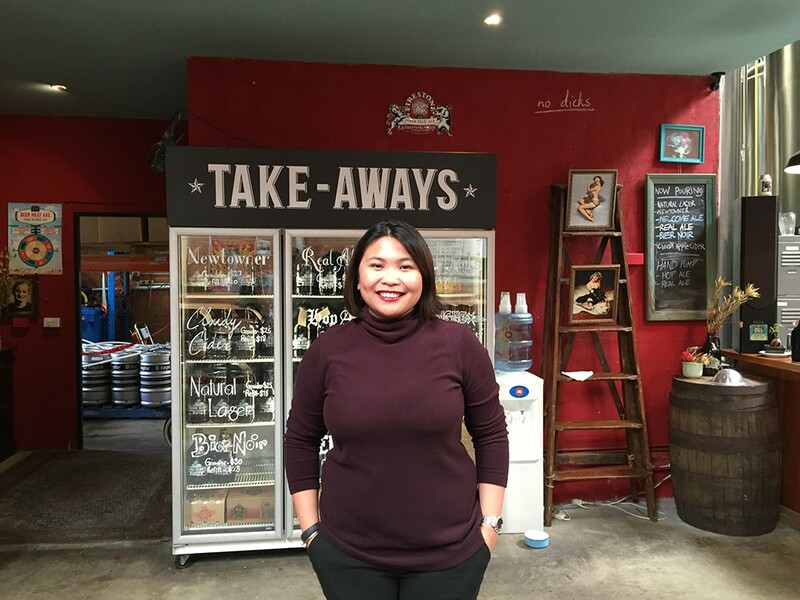 Done with the usual tour around Sydney? 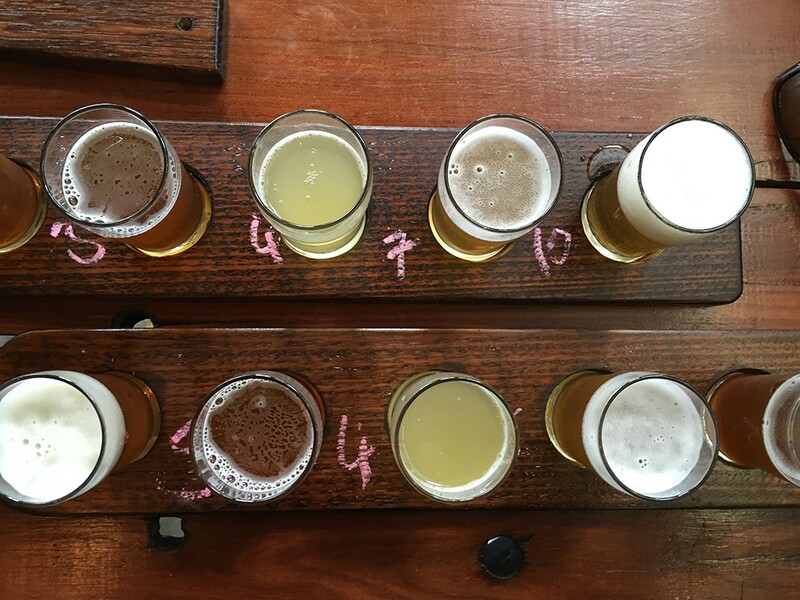 Why not try Dave's Brewery Tours? 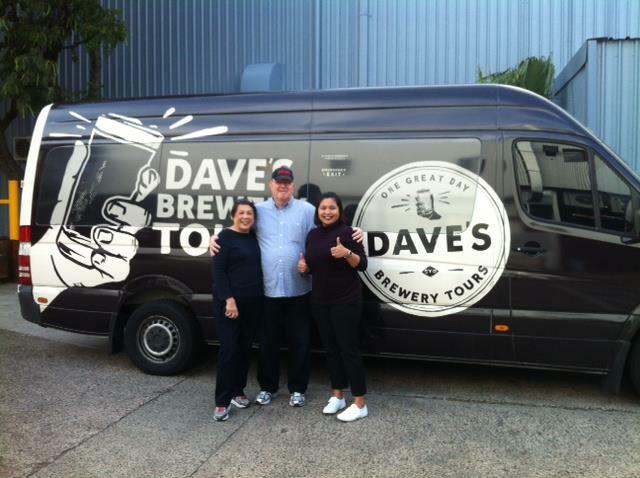 Moving on, I chose Dave's 3 in 3 Brewery Tour which was recommended for people staying in Sydney during weekdays. 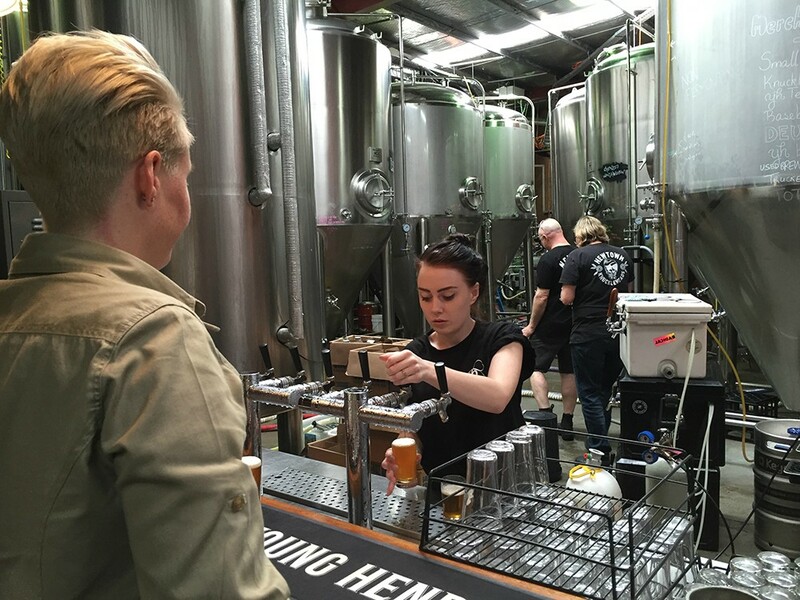 This tour takes you to three great Sydney craft beer locations in three hours. 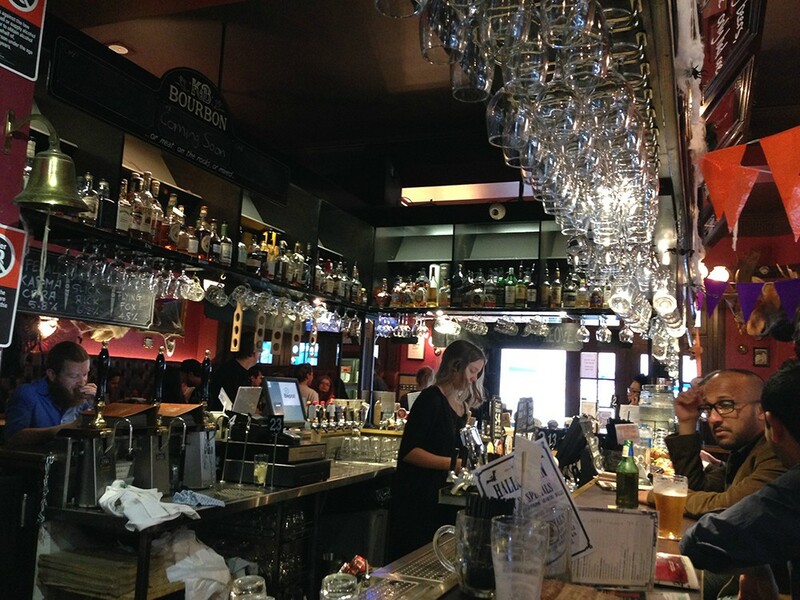 It includes transportation and plenty of fresh craft beer and cider. 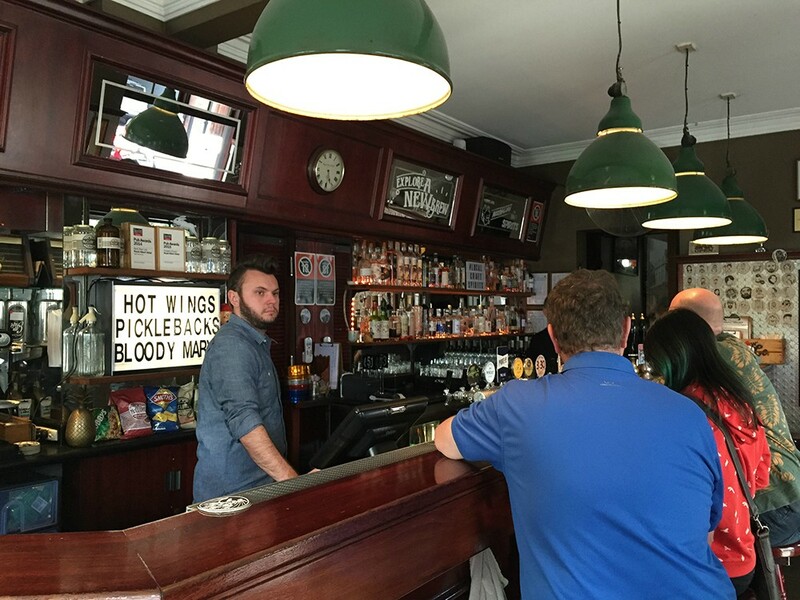 Tour starts at 2:00PM and meet up point was at Keg & Brew Hotel in Surry Hills. Check out their awesome van! If I'm not mistaken they could accommodate around 10 for this tour. Photo grabbed from their FB page. I was on tour with this lovely couple based in Hawaii. They love traveling and they've been to Sydney quite a few times already. 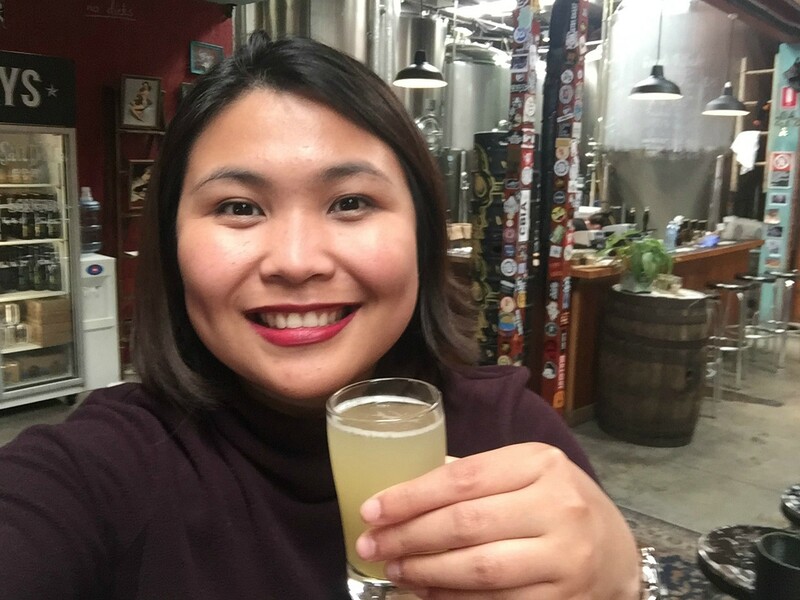 It's also their first time to join a brewery tour. 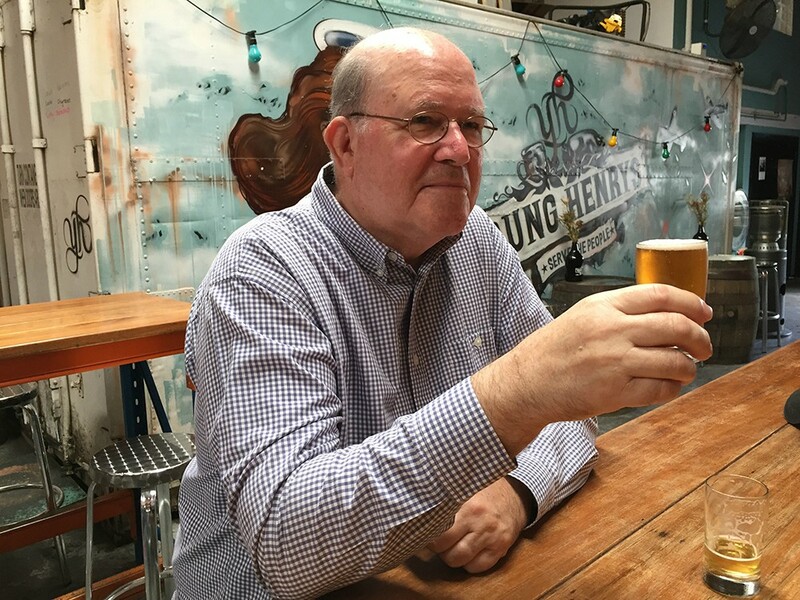 Our first stop was Young Henrys over at Newtown. 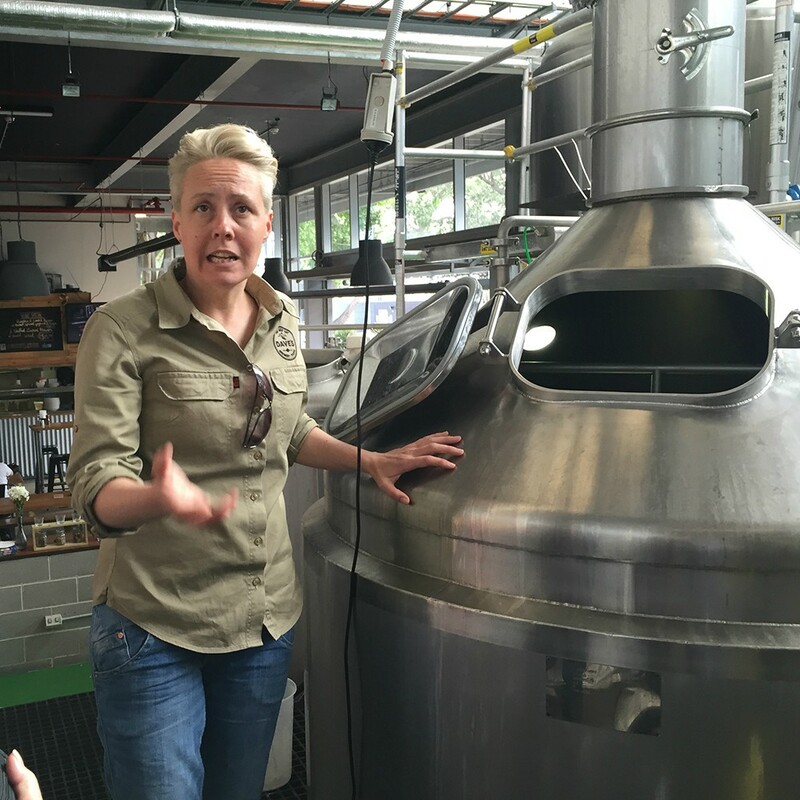 Here's our personal tour guide Alison giving us a brief history about craft beers in Sydney. 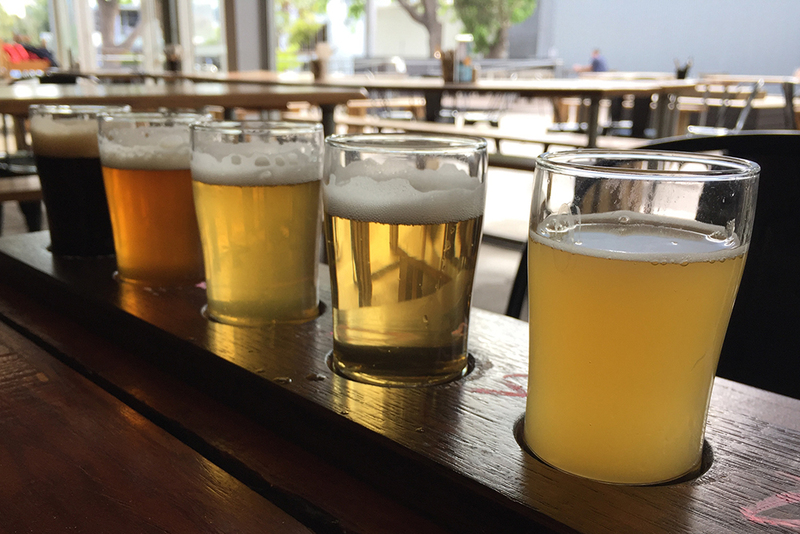 After getting heaps of fun facts about beer, it's time for tasting. I love that we're having beers directly from the breweries, couldn't get any fresher than that! Cheers from us! Here we are enjoying our beers. I did try most of what Alison served us (I'm holding a cider in that photo), but did not dare finish them all since I was commuting my way back home. 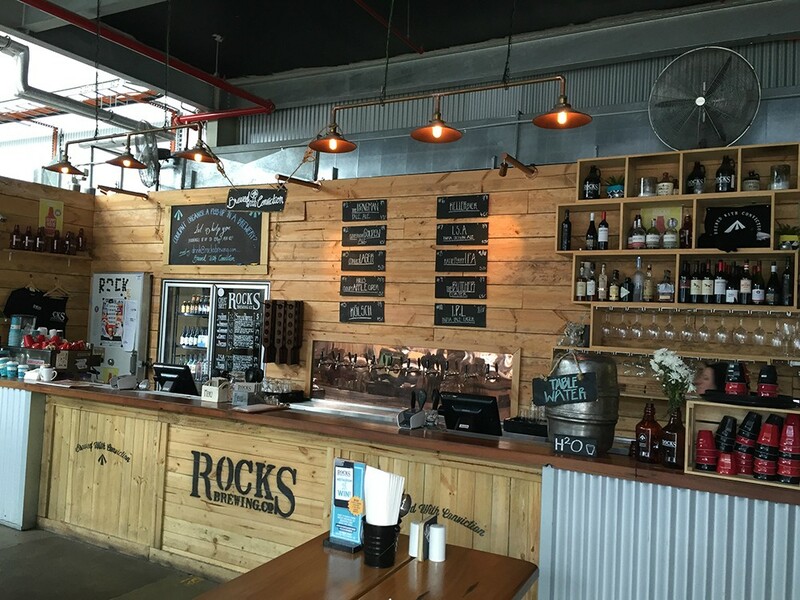 Second stop was at Rocks Brewing Company in Alexandria. From here we got a behind the scenes look on how they make their beers. 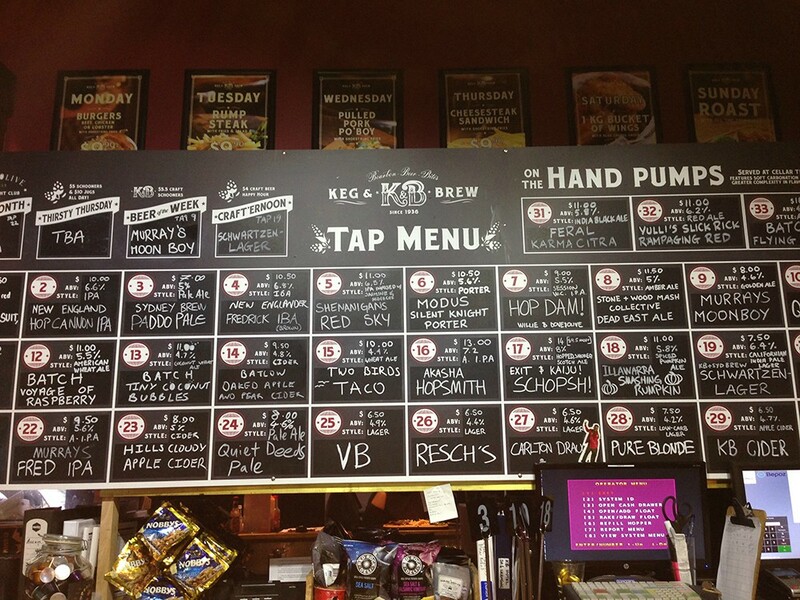 If you really liked one of the beers tasted, you can always buy them in jugs for takeaway. ;) Although I wouldn't recommend that to those flying outside of Australia since there's a limit for alcohol you can take on board the plane right? Haha. 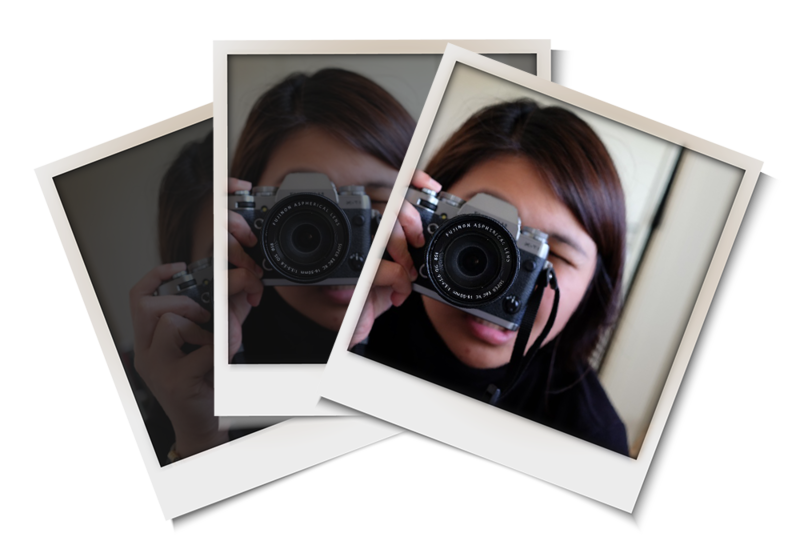 Overall I had a great experience in this tour although I must admit that I fell asleep inside the train on my way home. LOL. Plus our guide Alison was so awesome, professional (of course she can't drink while on the job! haha) and she really knows a lot of stuff about beer. 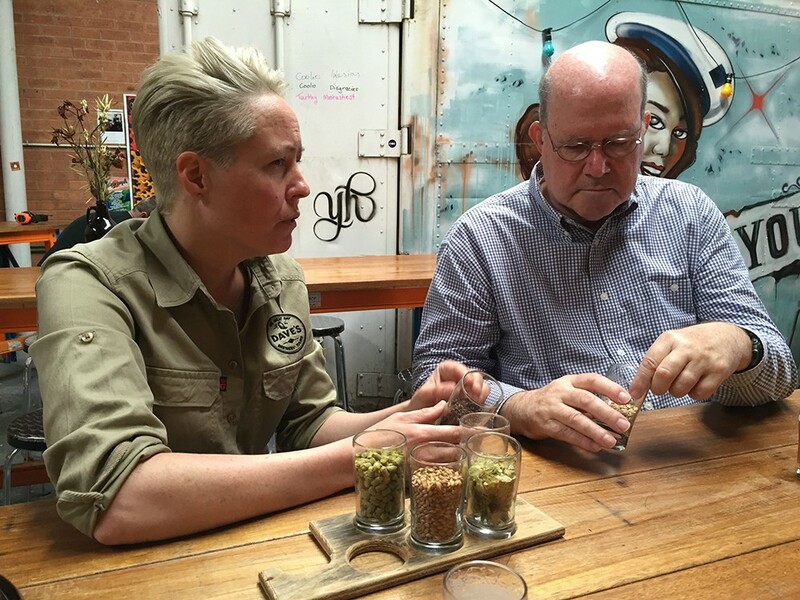 The 3 in 3 Brewery Tour costs $110.00AUD per person inclusive of GST. 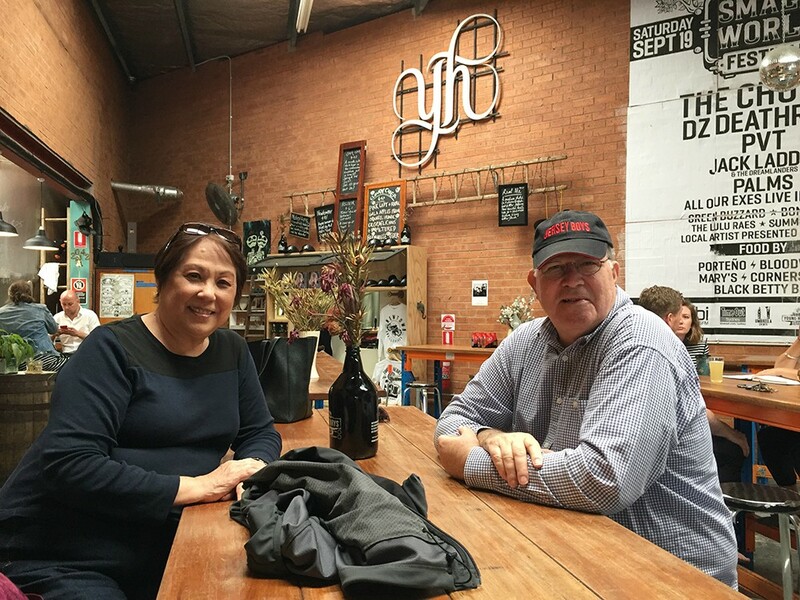 I honestly think it was cheap and you get your money's worth since ordering a bottle of beer in the city might cost between $6.50-15.00AUD and with this tour you get to try at least a dozen types of craft beer. 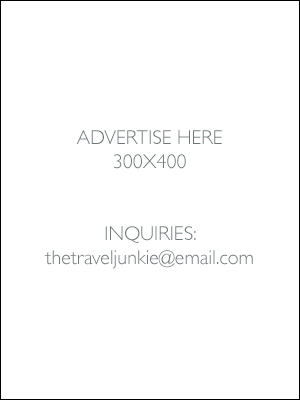 ;) And did I mention that this tour is currently top 5 on TripAdvisor's food and wine tours in Sydney? 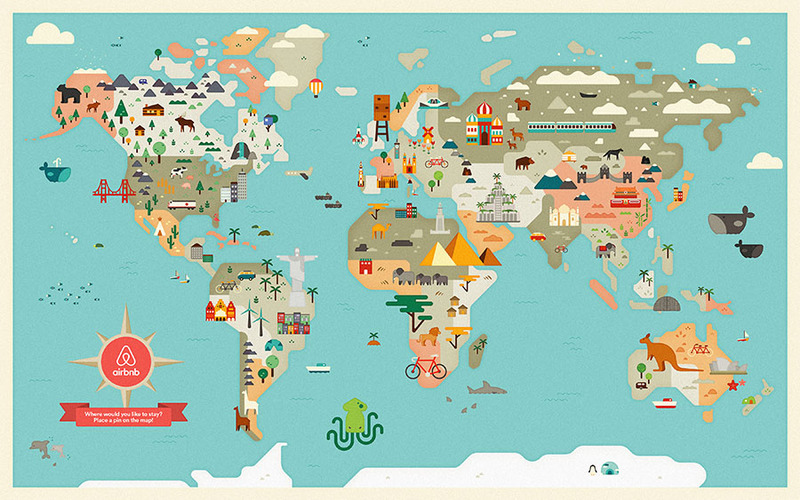 You should definitely check this out!